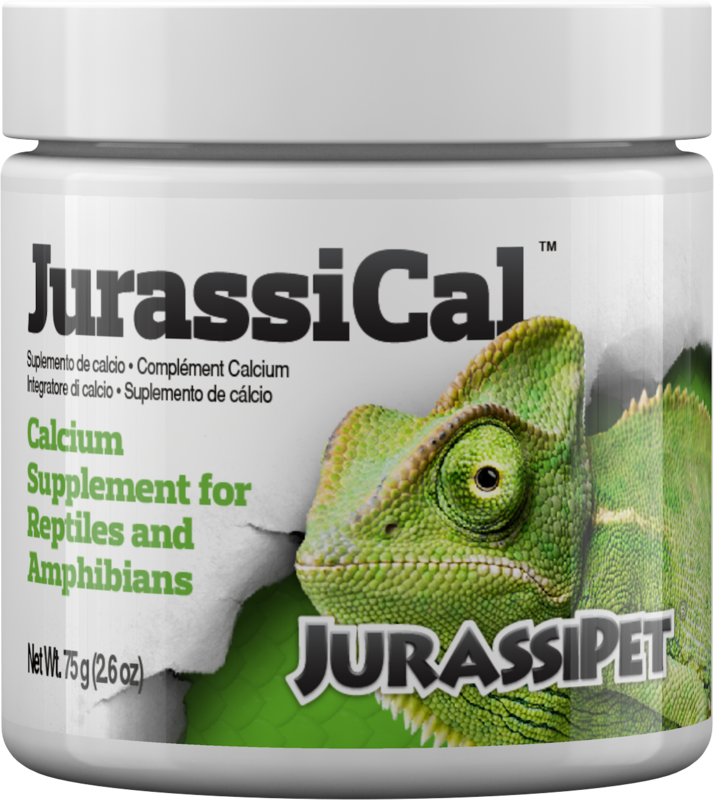 JurassiCal™ is a concentrated (400,000 ppm) phosphorus free source of calcium for reptiles and amphibians. Herbivorous and carnivorous diets are frequently calcium deficient and phosphorus rich. Thus, it is of no benefit to use a calcium supplement containing phosphorus. Ideally the dietary calcium to phosphorus (Ca:P) ratio should be no less than 1.2:1 and is ideally maintained from 2:1 up to 8:1 (depending on the species)*. Lack of calcium in the diet can lead to metabolic bone disease and shell deformities and soft shells in turtles and tortoises. 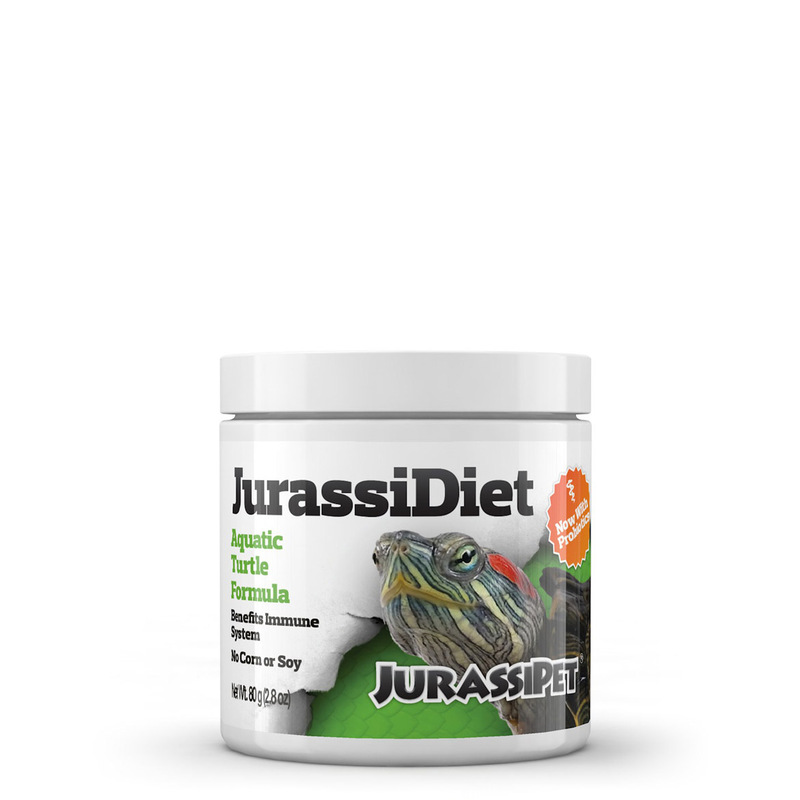 JurassiCal™ is also Vitamin D3 free. Although Vitamin D3 is necessary for calcification (biological incorporation of calcium into bone, shell, etc. ), excessive amounts can be toxic and may lead to hypercalcemia. 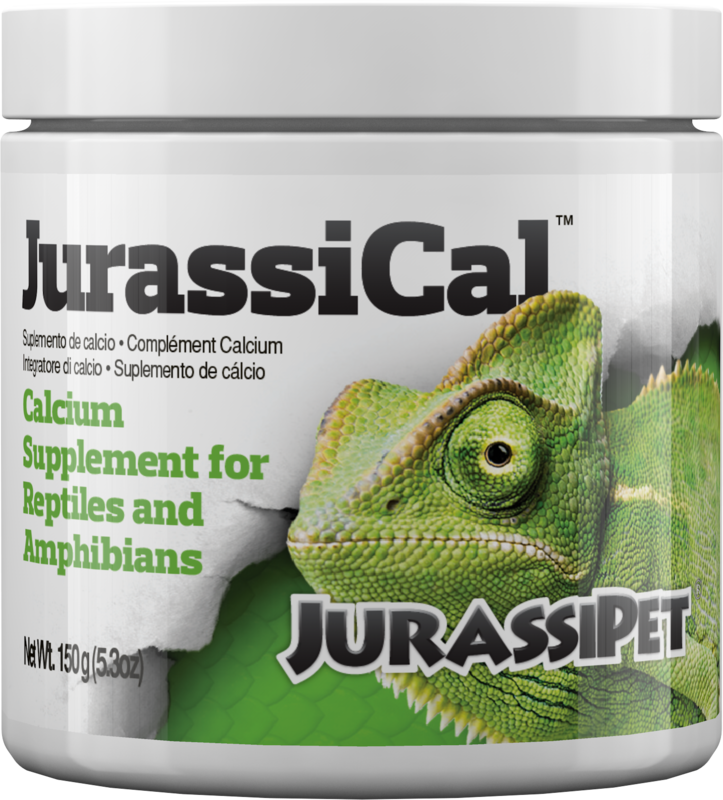 To ensure compatibility with JurassiVite™ (which does contain Vitamin D3 in the safe cholecalciferol form) and to aid in maintaining the correct calcium to phosphorus ratio, JurassiCal™ does not contain either phosphorus or Vitamin D3. Not sure which foods you should be dusting or spraying with calcium? For a list of Ca:P ratio values of common foods, check here. *Mader, Reptile Medicine & Surgery, 1996. BEGINNER: Lightly dust food before serving. Adheres best if food is already slightly moist. ADVANCED: Carnivores: Dust mammals and insects with 1 g (1/3 tsp.) for every 10 g (1/3 oz) of food. Dust boneless meat and gut loaded insects with 400 mg (1/8 tsp.) for every 10 g (1/3 oz) of food. Herbivores: Dust vegetables and fruits with 1 g (1/3 tsp.) for every 400 g (about 4 cups) of food. 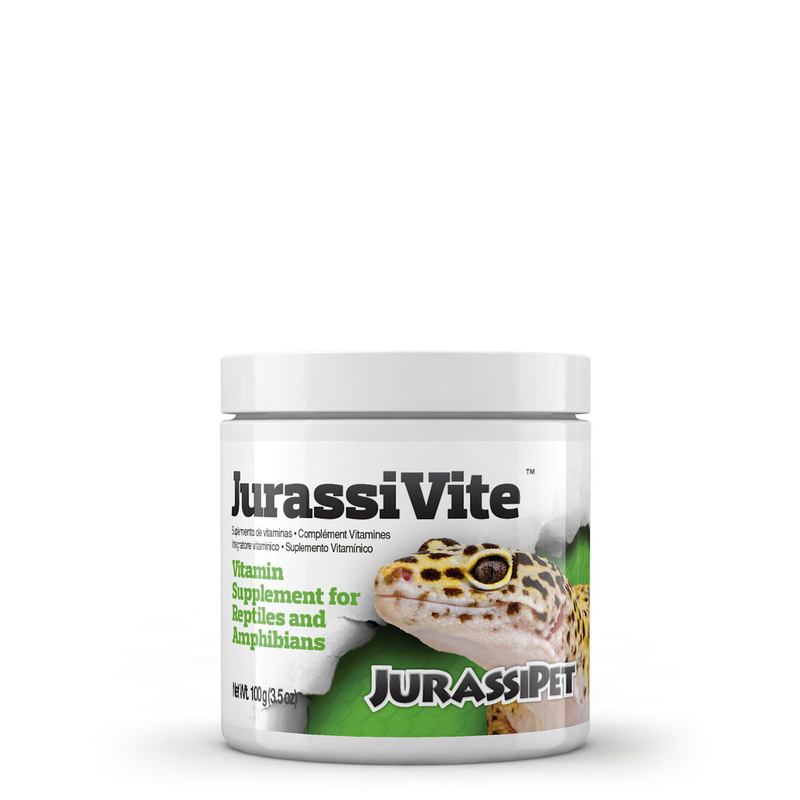 Use 2–4 times more for turtles and tortoises and to increase calcium deposition in breeding or gravid animals. EXPERT: Carnivores or Herbivores: Determine phosphorus and calcium content of the food and add according to desired Ca:P ratio. 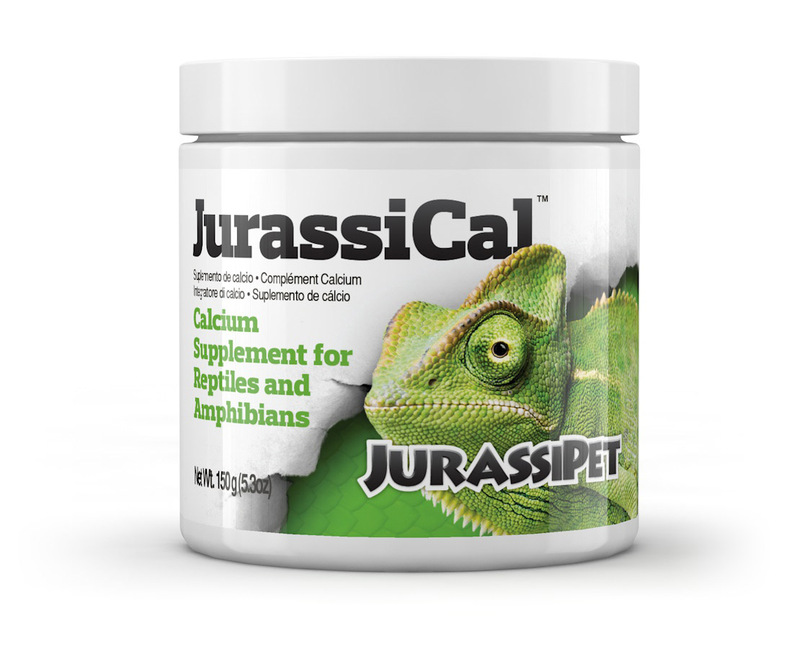 Values for common foods are available through selected reptile/amphibian references and on our website, here. To increase calcium content by 100 mg, add 250 mg (1/16 tsp.) of JurassiCal™. For example, if offering food that contains 200 mg of phosphorus and 20 mg of calcium and the desired Ca:P ratio is 2:1, you would need to add 380 mg calcium (1,000 mg (1/3 tsp.) of JurassiCal™). You can safely increase this amount to account for powder non-adherence loss during dusting. ADVICE: The following types of food interfere with calcium adsorption and should be avoided: phytates (soy), oxalates (spinach) and dog or cat foods. Please, can you tell me the source your JurassiCal supplement is derived from? Is it oyster shells? A: The source is limestone (naturally mined). 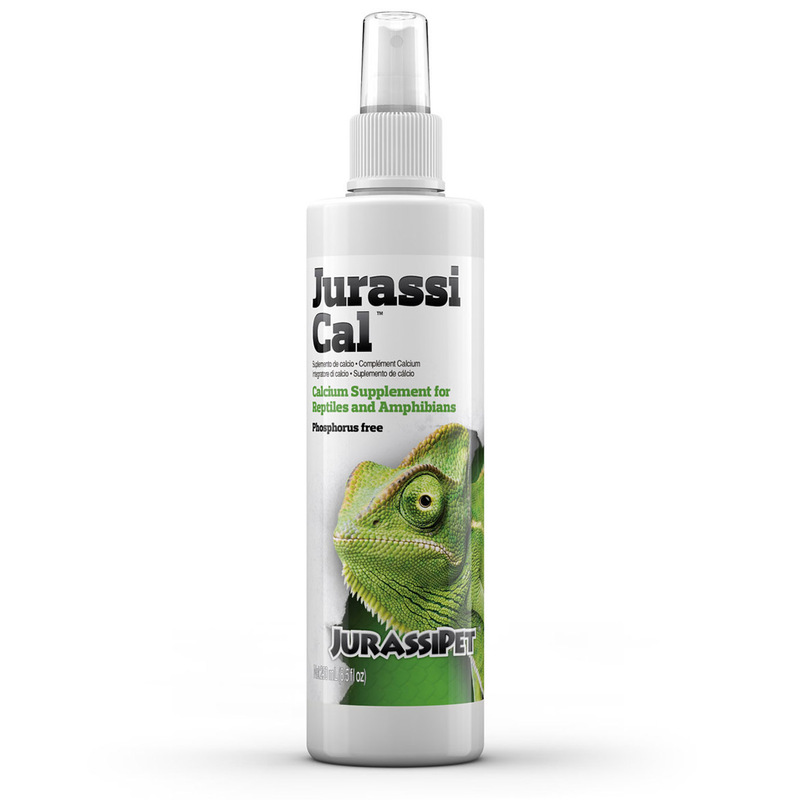 JurassiCal™ is promoted as not having any phosphorus added to it, whereas other products are a 2:1 calcium to phosphorus ratio. Won't those help me maintain the proper ratios better? A: No, because herbivorous and carnivorous diets are frequently calcium deficient and phosphorus rich. 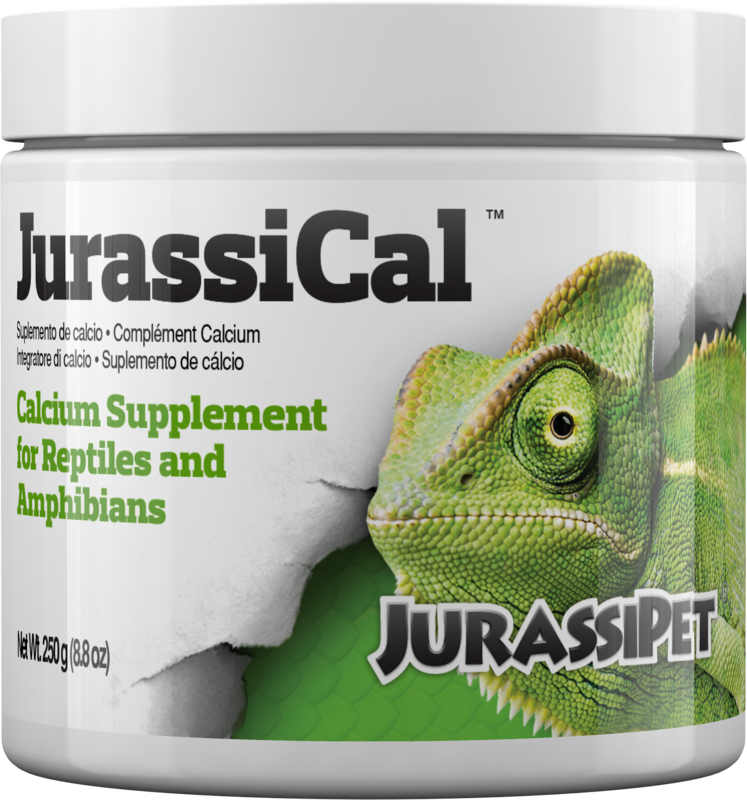 If you add a calcium supplement that has phosphorus in it to a phosphorus rich food source, like crickets, for instance, you raise calcium, but raise phosphorus at the same time. Thus, you have barely improved the ratio at all.